About 72 km to the east of Merida is Mexico’s magical town, Izamal. It is called the City of the Three Cultures as three historical periods coexist. They are namely the pre-Hispanic past, the colonial period and the present time. There are pyramids that had witness the Mayas greatness, the charming convent in the silence of the majestic walls. See the forever markings of the Spanish Influence. Many sights to behold: from its buildings to its streets, the houses, the small squares and the churches. All in harmony visually and with a single colour, yellow. 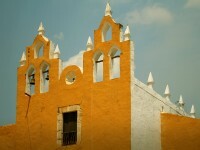 It is also known as “City of Hills”, Izamal was a place of peregrination of the Mayan town. White-stone ways or “sacbeoob” united the smaller cities to the main metropolis of the Mayan World. 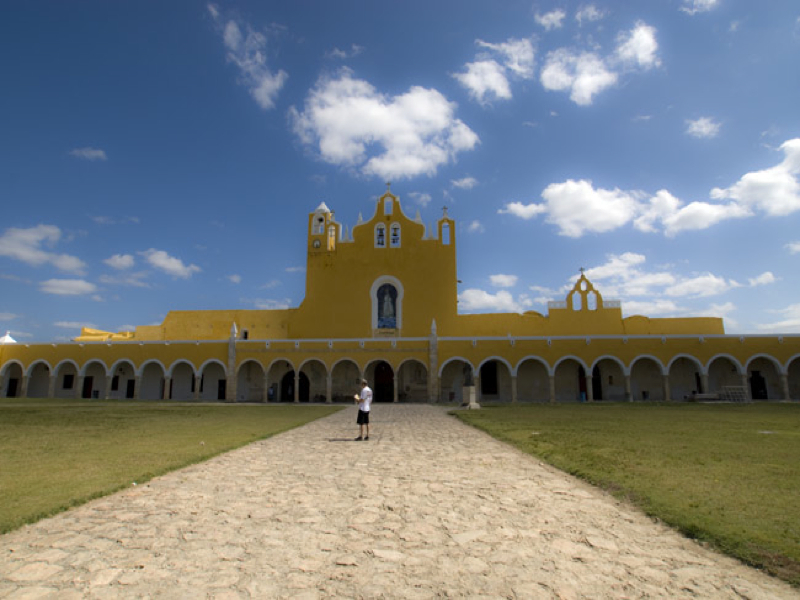 Izamal remains as one of the most important cities of the Mayan culture from 850 to 1000 AC. It is even older than Chichen Itza and Uxmal which first establishments dates back to the 3rd century AC. Its history is linked to the religious tradition, the enormous Mayan ceremonial center and founded by the Itzaés. 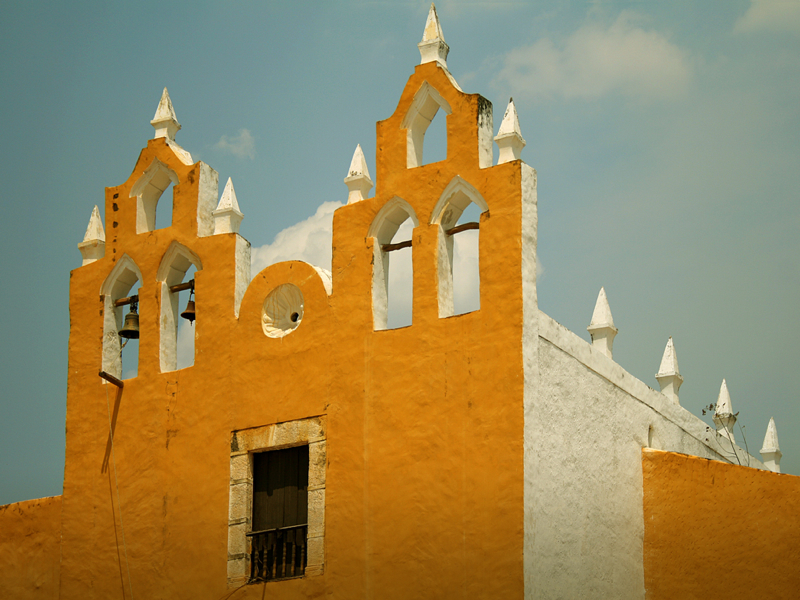 The name Izamal of this town is of a mythical origin. It is of singular wisdom, assumed as a teacher and priest of the Mayas named itzamná or zamná, which means “dew that descends from the sky”. Be there for the most important and traditional celebration called the “Virgin of the Immaculate Conception“. It happens on the 7th to the 13th of December usually. The Mariana Serenade takes place in the atrium of the church and do expect to see around four thousand spectators and onlookers. There are also many exhibitions of artisan work about the Izamal culture and crafts by great masters of popular art in front of the central plaza. Take the buggy tours from the central plaza and have a look at the Kinich Kakmo pyramid which has the largest plinth. The base is 4 hectares and its highest part is 34 meters. It opens daily from 8am to 5pm. You must not miss the colonial masterpiece that reflects the live tradition of a mixed culture. The San Antonio de Padua convent has the greatest atrium in the world, just second to San Peter in the Vatican. There is a museum in its inner part and a praying altar. And on every Tuesdays, Thursdays, Fridays and Saturdays, there is a magnificent spectacle of the light and sound shows which starts only from 8:30pm.